Try to Use legible font sizes: If users have to zoom in just to be able read your article text on their smartphone screen, then your site isn't mobile-friendly. 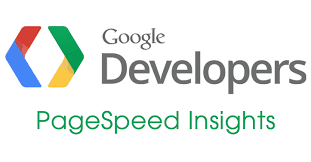 PageSpeed Insights checks that your site’s text is large enough for most users to read comfortably. Your Size tap must be targets appropriately: Nothing’s more frustrating than trying to tap a button or link on a phone or tablet touchscreen, and accidentally hitting the wrong one because your finger pad is much bigger than a desktop mouse cursor. Make sure that your mobile site’s touchscreen tap targets are large enough to press easily. Always try to Avoid plugins: Most smartphones don’t support Flash or other browser plugins, so make sure your mobile site doesn't rely on plugins. what we do to increase the page speed? I quite agree with you. But on the part of avoiding a 3rd party plugin, this might not be feasible to a WordPress user. Great insight Mathias.